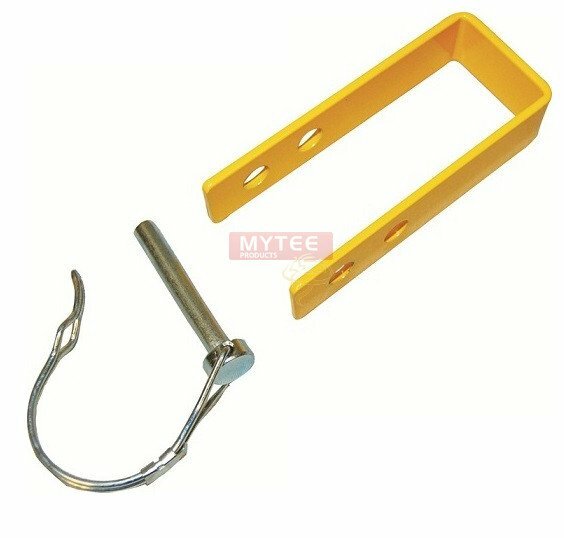 Specifically designed locking clip to secure the handle on lever load binder and recoilless lever load binders to avoid the possible rotation of the handle and release of chain tension. 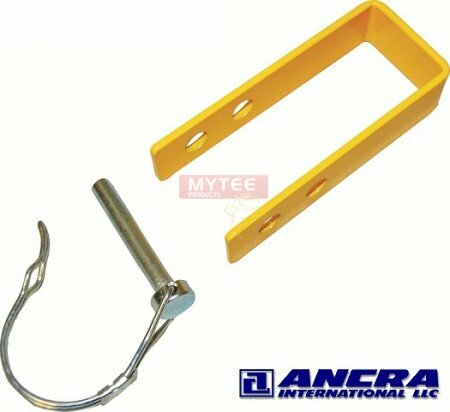 Powder coated in a yellow finish for corrosion protection and visibilty. When the locking clip is properly installed it helps prevent the lever handle from opening.